Presenting Nasty Lick #68–another interesting and cool sounding way to use paradiddle-diddles as 32nd notes. In this case, the idea also includes two bass drum notes, but not in the usual place. At least, it doesn’t sound “usual” to my ears. And I like that. 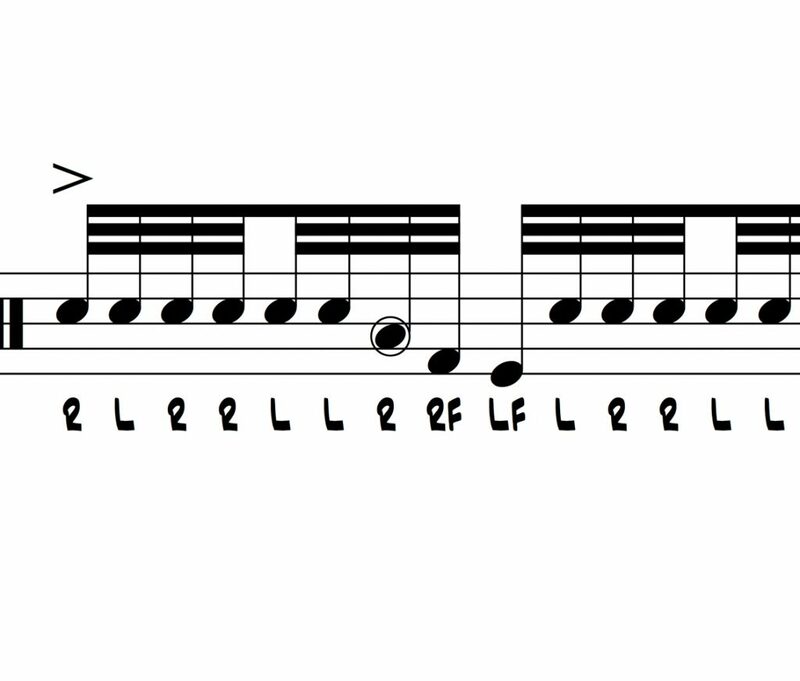 Another nuance is that the two bass drum notes are notated as RF (right foot) and LF (left foot), implying the use of a double pedal or two bass drums. You don’t have to play this that way, but I just pulled my double pedal out of the closet again, and I am realizing that there are certain applications (like this one) that may merit the use of the two foot approach. It’s up to you which way you want to try it, but it’s notated here as a double bass application. The idea is presented on the worksheet/PDF in several ways–different phrasings. Have a look at the PDF, and if it seems interesting to you, download it and try it out.